Amaal Starling, M.D., is certified in “headache medicine” by the United Council for Neurologic Subspecialties (UCNS), and is on-staff in the headache center at the Mayo Clinic in Scottsdale, Arizona, where she is an assistant professor of neurology. She is a member of the board of directors of the American Headache Society and co-chair of the American Headache and Migraine Association. Dr. Starling grew up in Mesa, Arizona, and completed her undergraduate work at the University of California, Los Angeles. She completed medical school at Drexel University College of Medicine in Philadelphia, then went on to complete a neurology residency and a headache medicine fellowship at the Mayo Clinic in Scottsdale. Taking care of headache patients is very rewarding. There is so much to do for these patients. And improving the quality of life for patients is why I entered medicine in the first place. I enjoy learning about the underlying pathophysiology of Migraine and other headache disorders. The science is fascinating and intellectually-stimulating. It is a field that is exploding with new knowledge and therapeutics at this time. It is an exciting time to be in headache medicine. I come from a family of people with Migraine and I have Migraine myself. Dr. Starling: I tell my Migraine and other primary headache disorder patients that there is always something we can do to improve their quality of life. I reassure them that I will not say there is nothing else we can do to improve your quality of life. Q: What’s the most important element in a doctor/patient partnership? Dr. Starling: Just that … a true partnership requires trust, rapport, and confidence. 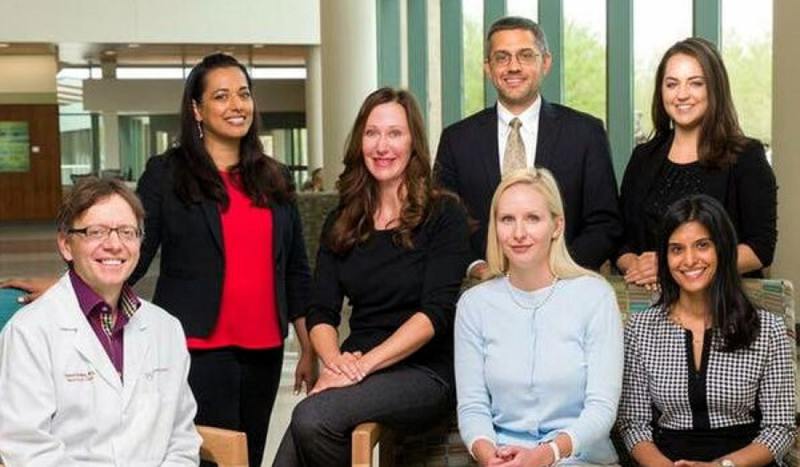 Dr. Starling with the staff of the headache center at the Mayo Clinic in Scottsdale, Arizona. Q: If all your patients could understand and believe one thing, what would it be? Dr. Starling: Migraine and primary headache disorders are neurobiological disorders that alter brain function. Treatment options aim to adjust brain dysfunction to improve symptoms. Q: What else would you like us to know about your work with and for patients with Migraine and other headache disorders? Dr. Starling: Patient advocacy is the key to managing Migraine and other headache disorders. Patients can be personal advocates by educating themselves about headache disorders, joining patient organizations such as the American Headache and Migraine Association (AHMA), and being an active partner in their headache management in conjunction with their headache specialist. Patient advocacy is also what will move headache medicine forward and take us into the future with regards to research and novel therapeutics. When patients stand up and demand to be heard, the world will listen. I encourage all of my patients to become advocates both personally and on a larger scale. I encourage all of them to join AHMA and to attend Headache on the Hill (HOH) yearly. I, myself, am a member of AHMA and have attended HOH for four consecutive years. Dr. Starling with her family. Getting to know Dr. Starling when I see her at conferences and when we work together for AHMA, Headache on the Hill, and other projects has been quite a pleasure. Meeting her husband and son in November was delightful. 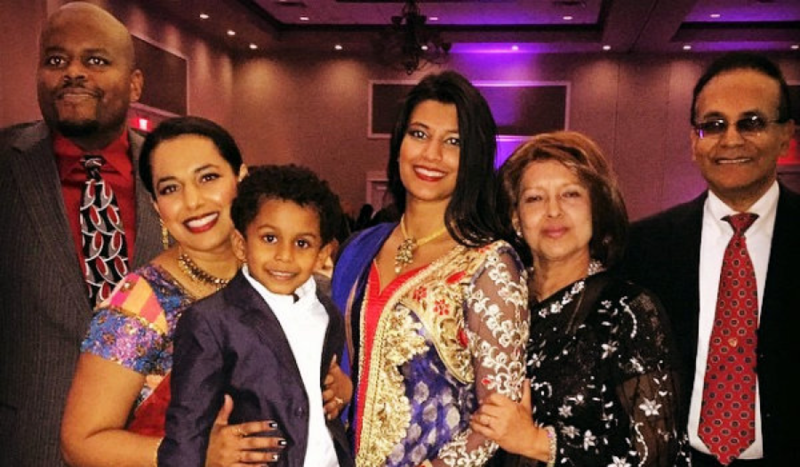 It’s obvious that Robert is very proud of Dr. Starling’s accomplishments, and Mohsin broke into a huge smile when he spotted his mother. It’s truly heart-warming to see a young woman with Dr. Starling’s energy and passion getting the opportunities to combine family and career so beautifully. Email interview with Dr. Amaal Starling. April 16, 2017.